Want to jam out to your favorite tunes or epic games and don't want any wires holding you back? Bose QC 35 is the best Bluetooth headphones to do exactly that. For years, the Bose brand has been the gold standard for active noise-canceling headphones, and its new Bluetooth over-ear model continues that proud tradition. Though other brands have edged closer to the company's top-tier quality over the years, we still think Bose is the headphone manufacturer to beat. The QuietComfort 35 Series I (QC35 I for short) was the company's first wireless pair of over-ear noise-canceling headphones, and it excels in comfort, quality, and muting the outside world. When it comes to rocking a good set with your iPhone for a flight or commute, the QC35 is simply the best. Bottom line: If you want Bluetooth headphones that deliver on comfort, epic noise cancellation, and overall sound quality, you can't go wrong with the Bose QuietComfort 35 Series I. Status: Released June 2016; its current successor is the QC 35 II, but the QC35 I is still our overall favorite. The best overall noise-canceling package. As more devices ditch the headphone jack in favor of Bluetooth, NFC, or other near-field communications methods, wireless headphones have become less about novelty than necessity. And as prices go down and noise cancellation becomes more of a standard than a perk, wireless headphones have become an excellent option for folks looking to buy great audio for their iPhone. The $329 Bose QC35 Series I isn't going to win awards for having the best sound in the world, or the most innovative design. As headphones go, it's actually a pretty conservative package: There are no fancy multitouch controls or wood-paneled ear cones, and you won't find intelligent features like auto-pause built into the headset. But we love the QC35 precisely because what it does, it does perfectly. After testing dozens of headphones over the last few years, there is no set I love to wear more than the QC35. It's comfortable enough to wear for hours — and its 20-hour battery life ensures that no matter how long you use it, you'll continue to have music or audio streaming in your ears. We love the Bose QC35 Series I precisely because what it does, it does perfectly. It's Bose's noise-cancellation technology that elevates a pretty solid piece of kit to "best overall headphone" status, however. It may not have the paused "conversation" modes or touch controls that its competitors boast, eschewing those sometimes-fussy features for rock-solid noise reduction. I've drowned out plane and train engines, café atmosphere, bus exhaust, over-excitable relatives, and even the hum of my own home to disappear into a music cocoon of the QC35's making. The only time I've ever run into issues with the QC35 was listening against heavy wind — a side-effect of the headphone's noise-canceling microphone technology, and something I've seen on almost every headphone with this technology that I've tested. If you love deep, booming bass, or you crave the futuristic feeling of multitouch controls on your headsets, you may want to look elsewhere for your headphone purchase. But if you need an overall excellent pair of Bluetooth over-ear noise-canceling headphones, you can't go wrong with the QC35s. Worth noting: There is now a successor to the QC35 Is available, Bose's $349 QC35 II. Both headphones are nigh-identical, though the QC35 II offers a dedicated voice assistant button; unless you truly need that feature, the original QC35 is still our top pick for best Bluetooth headphones. If you can afford to shell out a bit more for a Bluetooth noise-canceling model and want slightly better bass in said cans, Sennheiser's $399 PXC 550 is an excellent option — especially considering that it's currently running for just under $300 at Amazon. At first glance, the PXC 550 looks similar to the QC35: It, too, comes in a sleek black shell, with big over-ear cushions to keep your ears enveloped in music and audio. Where Sennheiser breaks from Bose is in execution and polish: The pricier headphones offer an intriguing "twist-cans-to-enable" version of the on/off switch, and all of its controls are represented as touch gestures along the right ear panel. It also offers a slightly nicer overall sound than the Bose — a given for its price point. Bottom line: If you want touch controls and a more well-rounded music experience (but slightly less effective noise cancellation), the Sennheiser PXC550 is an impressive option. Status: Released in 2016. 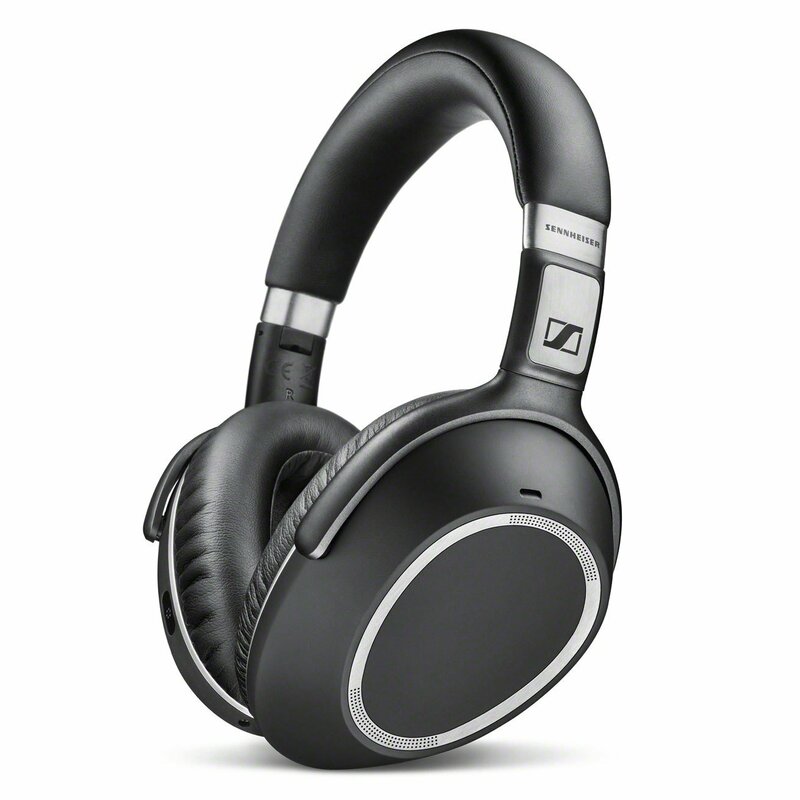 No current successor, though you can get even better sound with Sennheiser's $349 HD1 Wireless and the on-ear $399 Momentum 2.0 Wireless. Normally, I abhor on-ear headphones: They tend to be less comfortable than their over-ear counterparts, worse at blocking outside noise, and produce a sub-par overall experience. With all those caveats in mind, I've found myself consistently impressed by Libratone's Q Adapt On-Ear headphones. Like the other over-ear models I've recommended, these Bluetooth cans offer noise cancellation, 20 hours of battery life, and a quick recharge time. They also provide touch controls on the right side of the headset for volume, play/pause, Siri, and a rather amusing "full hand over the outside right can" to momentarily pause all audio and noise cancellation gesture. While it feels a little silly at first to hit the side of your head to talk to people, I've quickly gotten used to it. For iPhone users, the Q Adapt is especially nice because it's more compact and portable than the over-ear models, offers several levels of "City Mix" noise cancellation (so that you can drown out general city noise on your commute without, say, drowning out the noise of that oncoming taxi), and it's rather stylish. Bottom line: If you don't mind on-ear headphones and you want a great pick with modular noise cancellation, touch controls, and a more stylish look, check out the Q Adapt. Status: Released in 2016. No current successor. If you don't want a noise-canceling set of earphones on your commute and Apple's EarPods mold fits your ears, the AirPods are an incredible set of ultra-portable headphones for your iPhone. That dental floss-sized case may have been mocked across the Internet, but it's perfectly-sized to slip into a jeans or coat pocket; I've taken to carrying the AirPods with me wherever I go, and it's ensured that I always have a good set of headphones when I need them. An extra plus is Apple's W1 chip, which makes pairing a breeze. Bottom line: Don't care about noise cancellation and want an ultra-portable in-ear option? Check out Apple's AirPods. Status: Released 2016. No current successor, though you can look to the $100 Beats X for an in-ear version with a more customized, noise-isolating fit (at the expense of a wired neck chain). 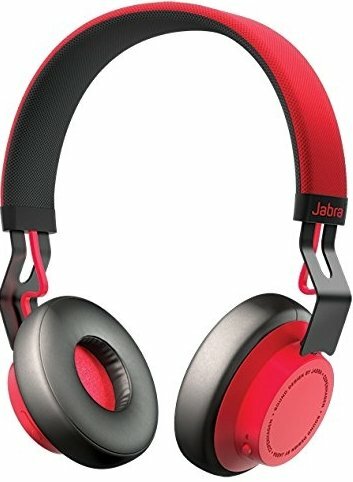 My first set of wireless headphones were Jabra's Move Wireless, off a recommendation from Wirecutter editor Dan Frakes. Nearly three years later, they're still my go-to Bluetooth recommendation for iPhone users on a budget. They don't offer snazzy touch controls or noise cancellation, but despite that, you're still getting a solid overall sound and reasonable battery life — even years down the line. Bottom line: For users on a budget, you can't do better than the Jabra Move Wireless. 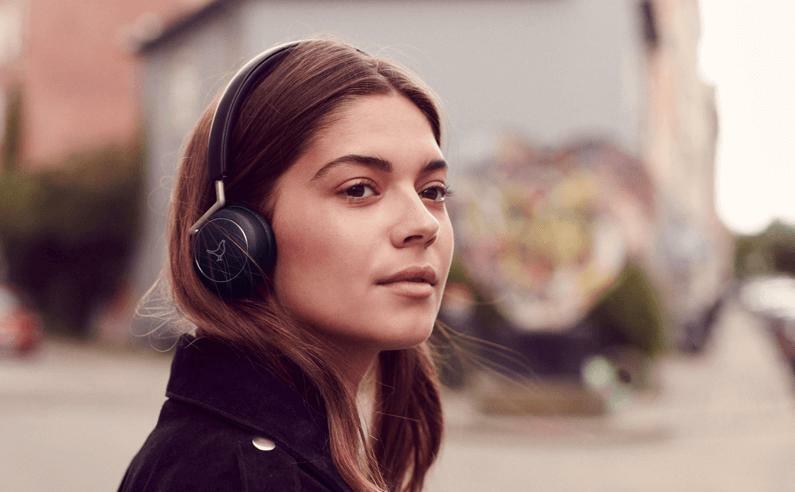 For years, the Bose brand has been the gold standard for active noise-cancelling headphones, and its new Bluetooth over-ear model continues that proud tradition. Though other brands have edged closer to the company's top-tier quality over the years, we still think Bose is the headphone manufacturer to beat. The QuietComfort 35 Series I (QC35 I for short) was the company's first wireless pair of over-ear noise-cancelling headphones, and it excels in comfort, quality, and muting the outside world. When it comes to rocking a good set with your iPhone for a flight or commute, the QC35 is simply the best. Updated December 2017: The Bose QC35 Series I remains our favorite overall Bluetooth headphone pick for iPhone users.